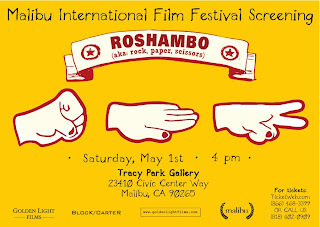 GARTNER: This Saturday at Malibu Film Fest: ROSHAMBO! This Saturday at Malibu Film Fest: ROSHAMBO! 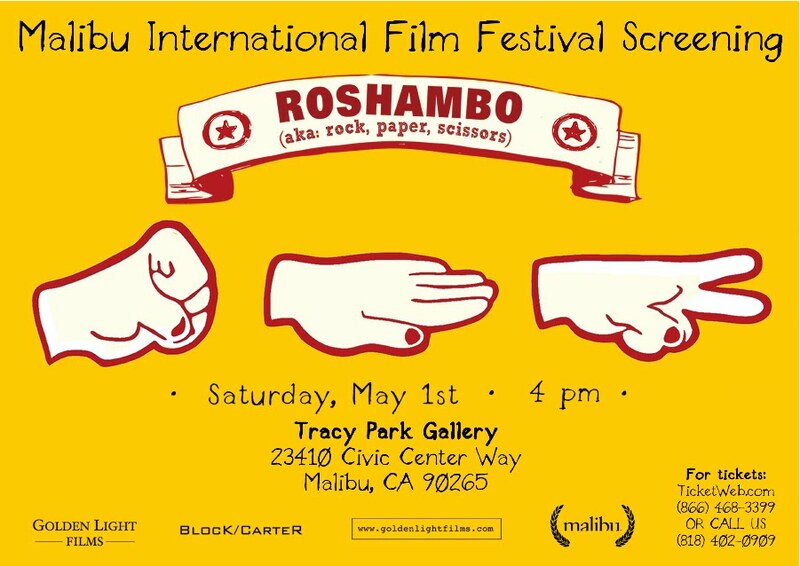 Join us this Saturday at 4pm for Roshambo's debut at the Malibu International Film Festival. If you haven't had a chance to see Ted Melfi's chuckle-worthy short film, I suggest you start planning your Saturday accordingly. See you there!